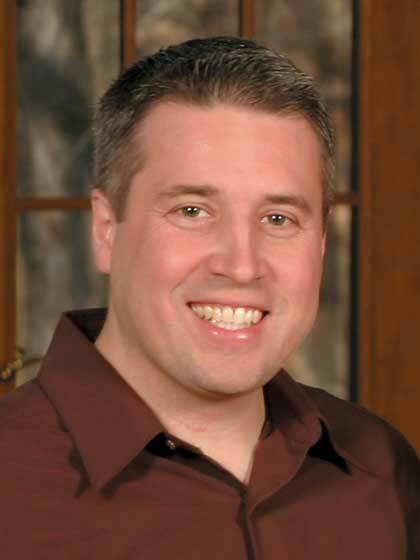 Dr. Greg Smalley serves as executive director of Marriage and Family Formation at Focus on the Family. In this role, he develops and oversees initiatives that prepare individuals for marriage, strengthen and nurture existing marriages and help couples in marital crises. He also serves as a media spokesperson on these matters. Prior to joining Focus, Smalley worked for the Center for Relationship Enrichment at John Brown University and as President of the National Institute of Marriage. He is the author of eleven books including The DNA of Relationships, The DNA of Parent and Teen Relationships and The Wholehearted Marriage. Smalley's passion for marriage began as a young boy. He is the son of Dr. Gary Smalley, a family counselor, the president and founder of the Smalley Relationship Center, and the author of 40 books on marriage. Smalley regularly attended his father's conferences and absorbed the importance of marriage. He frequently had people come up to him at events and say, "Your dad saved my marriage." Smalley knew early in his career that he wanted to be more hands-on in helping couples. After receiving his doctorate at the Rosemead School of Psychology at Biola University in Southern California, and a counseling degree from Denver Seminary, he and his wife, Erin, led intensive marriage seminars around the world and trained pastors, professionals and lay leaders how to effectively work with married and engaged couples. Married since 1992, Smalley lives in Colorado with his wife and their three daughters, Taylor, Maddy and Annie, and their son, Garrison. Smalley brings at least one child to every age-appropriate event, exposing them to the crucial role marriage plays in the family and society. Greg Smalley obtuvo su título de Doctor en Psicología Clínica en la Facultad de Psicología Rosemead de Biola University en el sur de California. También obtuvo dos licenciaturas: una en Psicología de la Consejería en Denver Seminary y otra en Psicología Clínica en la Facultad de Psicología Rosemead. El Dr. Smalley es presidente de Smalley Marriage Institute, un ministerio dedicado al matrimonio y la familia ubicado en Branson, Missouri. También se desempeña como presidente del directorio de National Marriage Association. Ha aparecido en programas de radio y televisión, incluyendo Focus on the Family y Hour of Power, y ha publicado más de 100 artículos sobre la crianza de los hijos y las relaciones familiares para varias revistas de renombre. Él y su padre, Gary Smalley, son coautores de un libro para padres de adolescentes, Bound By Honor, publicado en 1998 por Focus on The Family/Tyndale House. Es también coautor de Winning Your Wife Back y Winning Your Husband Back, publicado en 1999 por Thomas Nelson y de Men's Relational Toolbox, publicado en 2003 por Tyndale House, del que ha sido coautor junto a su padre Gary y su hermano Michael. Greg, su esposa y sus tres hijos viven en Branson, Missouri.